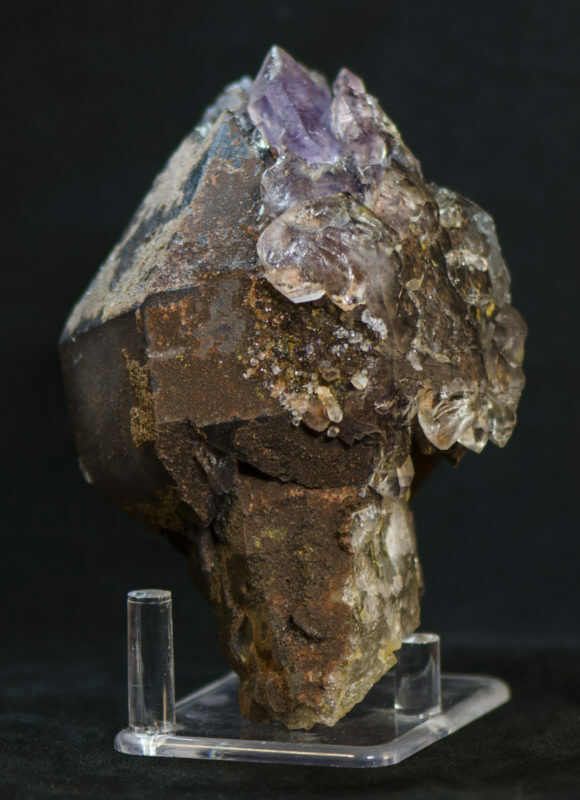 Large bulbous amethyst base coated by hematite. 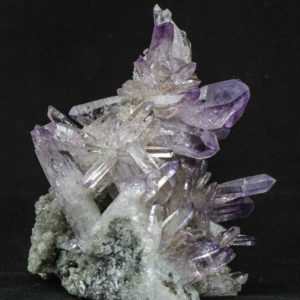 Half of this point has a clear secondary amethyst growth with unique patterns and scepter like growths. 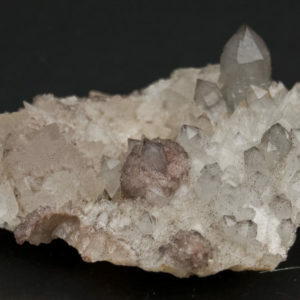 The secondary growth has needle-like inclusions and mud inclusions. This is definitely the largest scepter we found in this pocket. 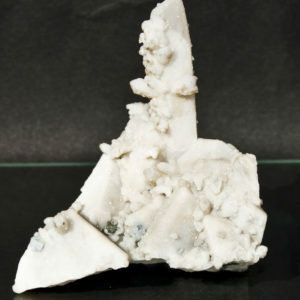 The scepter base has crystalline mica inclusions as well. It has minor damage on numerous parts of the crystal that occurs in pocket, some have re healed.